We are located at 4611 W Glendale Ave and are available by phone at 623-931-1030 . 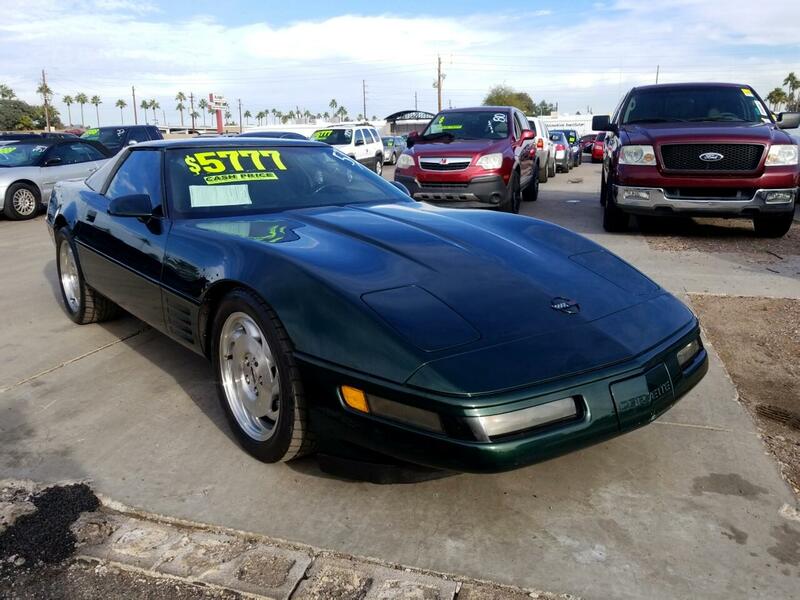 We have 250 vehicles priced UNDER $10,000! Along with 150 vehicles priced UNDER $5,000! Financing available for all Credit Types! $777 Down your approved (O.A.C.) ! We have an "A+" rating with the BBB and do our best to provide every customer with the best no pressure experience possible! Warranties available on every vehicle with extended warranties up to 4 years! We accept all major credit cards" Visa , Master Card , American Express, Discover. We also are proud to accept Bitcoin (BTC) , as well as other major Cryptocurrency. Message: Thought you might be interested in this 1994 Chevrolet Corvette.